There are number of dewatering methods available during excavation operation to facilitate construction activities. The choice of the right dewatering method brings economy. For this, it is essential to have knowledge about different dewatering methods and about their features in detail, along with comfort and speed of each. There are four major dewatering methods, which are well point dewatering, educator method, sump pumping method and deep well dewatering. Each method is used in different site conditions. The right dewatering method is selected based on nature of work and site condition.Here we have given brief information on how to select the right dewatering method, which a site engineer must know. Adjoining structure and their vulnerability to safety. The method of slurry cut off walls have helped in controlling the ground water, which have in turn reduced the amount of pumping. The projects, which require high pumping, may use barrier walls like slurry cut off walls. If a construction project involves the construction of foundation at the level that is below natural water table of that site, it is essential to do dewatering. The deep well and well point dewatering does not require any detailed analysis or design before implementing on a site that does not bring huge pressure fluctuation underground. Here conventional dewatering system may be used. However, wherever there is unusual pressure relief, it is recommended to have a detailed design prepared by the engineer, who is going to perform the dewatering. The contract documents must specify these details. The engineer must specify the use of unusual dewatering equipments prior to the construction activities. A conventional well point system is found economical and safe when dewatering has to be conducted in a ground area where the water table level is at a lower depth. If the water table is to be lowered up to a depth of 20 or 30 feet,then deep well system or jet-educators can be used for dewatering. For excavations that are surrounded by cofferdams, either well point system or a deep well system or both in combination can be installed for dewatering. A deep well dewatering method is the right dewatering method for dewatering that requires penetration into a pervious soil or rock. It is mostly implemented for the construction of deep shafts or tunnels or caissons. The type of dewatering method for an area is selected based on type of the soil and the geological conditions of the area. A well point method may be used, if the soil below the water table of the area is deep, free draining sand and homogeneous in nature. If the soil is highly stratified and there exist an impervious layer of rock, shale or clay then well points must be installed closely in space. Wherever the soil is in need for the relief of artesian pressure, deep wells or eductors well points in few numbers can be installed. The depth to which the drawdown has to be conducted or water table has to be lowered is one of the primary factor based on which the type of dewatering method is chosen. If the drawdown to be made is very deep, the deep well dewatering method or the eductor well points are used. The well point dewatering method can lower the water table by 6 m in a single stage. If multi-stage well point dewatering method is used, then water table can be further lowered up to 15 m.
A wide variety of flows can be dealt by using the deep well dewatering method, if appropriate pumps depending on the flow are chosen. This type of flexibility is not available for eductormethod. The eductor pumps are more employed where the flow is small as in the case of silty to find sand cases. 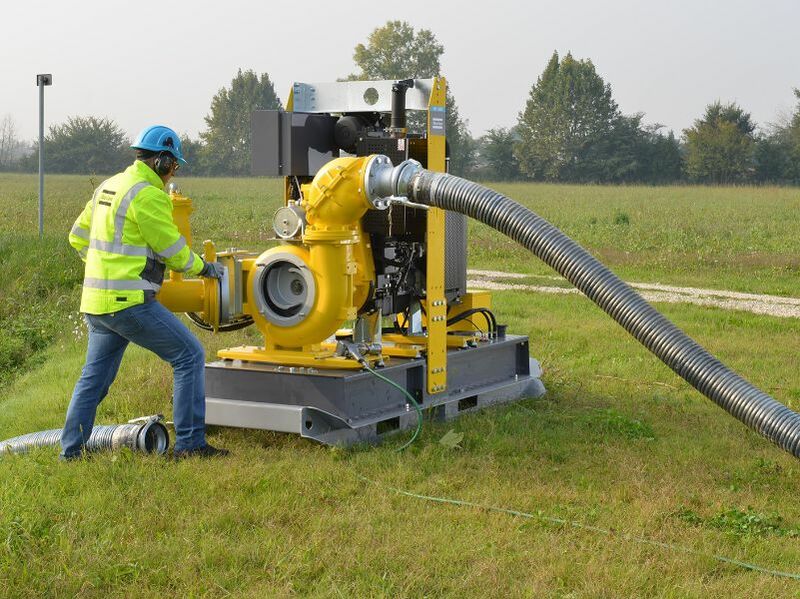 The design of dewatering pumps selected, the power required, equipment and the power supply isdependent on the reliability of ground water control for a particular project site. If the relief of the artesian pressure is to be done, so that blow up during the bottom excavation is prevented, then choice of pressure relief system that is selected must be reliable. The need for a standby equipment with the provision of automatic power transfer must be investigated. The pumping rate that is required to undergo dewatering of an excavation ranges between 5 to 50,000 gallons per minute(0.31 to 3154.5 Liter/second) or higher. For deep well dewatering method, the pumps are available from sizes of 3 to 14 inches (75mm to 350 mm), that have capacities ranging from 500 to 5000 gallons per minute(31.5 to 315.45 Liter/second). The pumps used in well point dewatering have sizes ranging 6 to 12 in inches (150 mm to 300 mm) with capacities ranging from 500 to 5000 gallons per minutes(31.5 to 315.45 Liter/second).The eductor pumps have pumping ability from 3 to 20 gallons per minute (0.19 to 1.21 Liter/second) that lift upto 100 feet. The labour cost can be cut down by having single or double shifts for dewatering per day. However, when the depth of dewatering is very large and the subsoil is pervious and homogeneous, the above principle cannot be applied. Under such situations, the pumping system can be operated such that large drawdowns are taken during single or double shifts. The foundation soils that is below the ground water table is additionally loaded when the groundwater table of that area is lowered through a dewatering method. 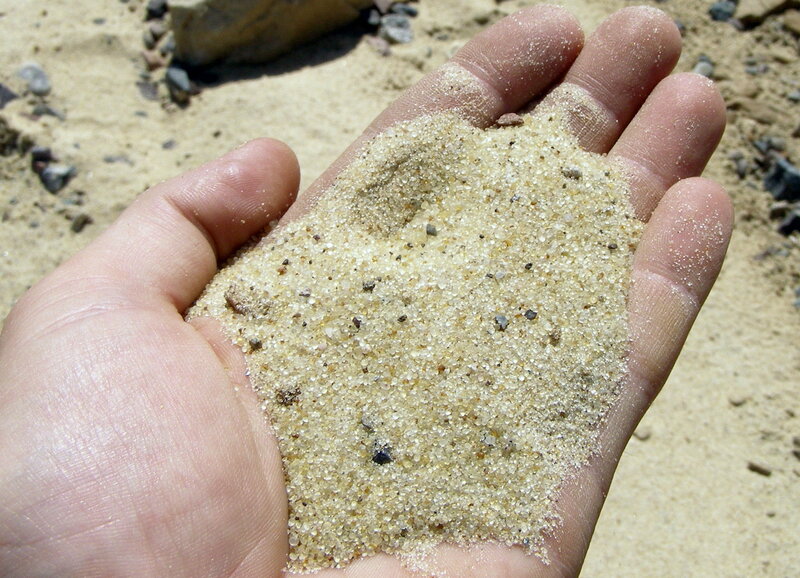 The application of additional load results in the consolidation of the soil. This consolidation results in settlement of structures that are already constructed in the vicinity. Before the application of any dewatering system on a site, it is recommended to check for above mentioned possibility of settlement of active structures around. The water table level of nearby wells has to be observed, before and after dewatering. If any claims are raised due to the dewatering process, evaluation should be made, based on such observations. The process of dewatering can be the best process, for the control of water during excavation, from economic point of view. However,for applications like for the wet side of a cofferdam or a caisson, a sealing is done on the bottom side of the excavation. Any other method like slurry cut off walls or other dewatering procedures can also be employed. Other techniques are chosen based on suitability like the use of freezing techniques and rotary drilling machines that is conducted without the lowering of the water table can be employed. The use of concrete cut off walls in a slurry supported trench are other examples. Hence, by keeping in mind the aforementioned factors, the right dewatering method must be selected. The site engineer has to make a judicial and rational choice, such that the whole dewatering process is efficient and economical. Next PostNext How to Remove Chalking Paint Defect from Painted Surface?